Want to become a barista? 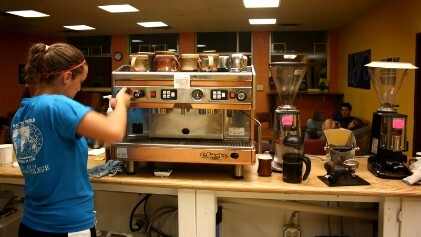 As a cooperative, all our baristas are volunteers. But as long as you work at least 1 shift a week, you'll receive a member discount on all drinks. Contact Jesse Maltz at eqmaltz@earlham.edu for more information or stop by one of our weekly meetings on Sunday at 1!